Inn at the Waterpark offers a wide variety of accommodations to ensure that guests stay close to all of the family-friendly fun and exciting attractions the island has to offer. 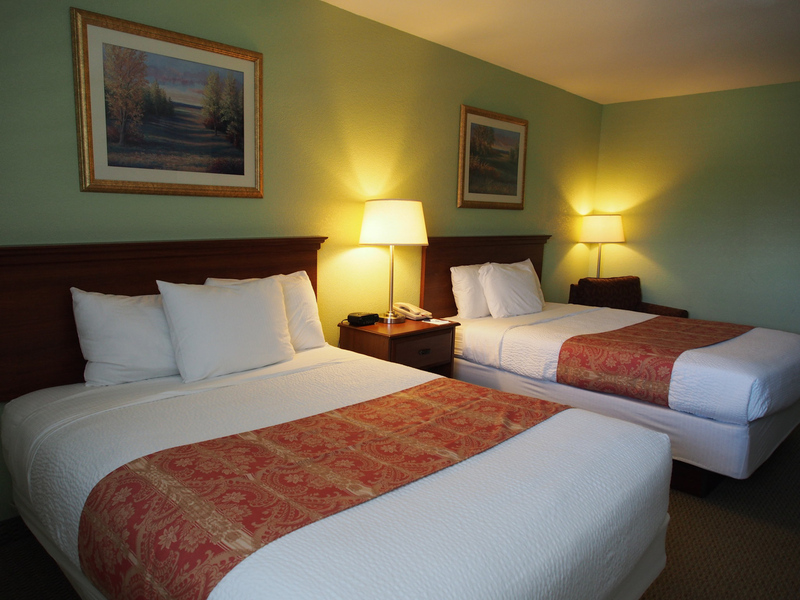 Lodging at the Inn includes free wireless internet, cable TV, and complimentary self parking. Going on a cruise? Enjoy the cruise shuttle service that is hosted by Moody Gardens. The cruise shuttles have limited availability so reservations are strongly recommended! A refreshing swimming pool and Adventure Golf are on site, continental breakfast is served in the lobby each morning, and soft drink and ice machines are located on each floor. Moody Gardens day passes, floral arrangements, Blue Bell Ice Cream pints, and buckets of soda and snacks are also available upon request. All you have to do is show up and be prepared to have some serious fun! Double Bed rooms come standard with a convenient dining area and an office desk with lamp and chair. 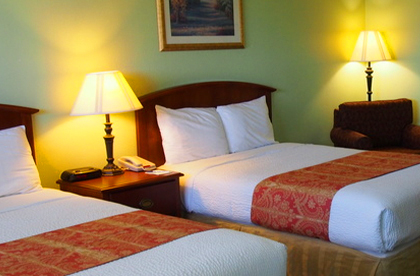 All rooms are non-smoking, lending way to the overall family friendly atmosphere at the Inn. This spacious guest room has a light and airy island feel. It offers two queen beds, plus the convenience of a refrigerator, coffee maker and microwave. There is an individual climate control, clock radio, and cable television including HBO for movie lovers. This room includes one King Bed plus a spacious living area, complete with sofa sleeper, coffee table and accent chair. There is a refrigerator, coffee maker and microwave, iron and ironing board, and rollaway beds are available upon request. 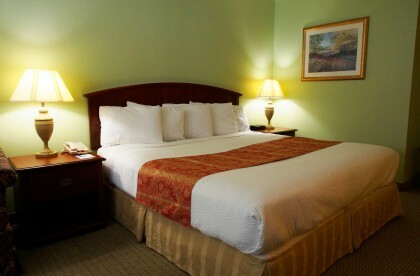 This deluxe room offers two Queen Beds, is non-smoking, and handicap accessible. It has a light and airy island feel, lending way to the overall family-friendly atmosphere. There is a refrigerator, coffee maker and microwave, plus an individual climate control and cable television including HBO, perfect for watching movie before bedtime. 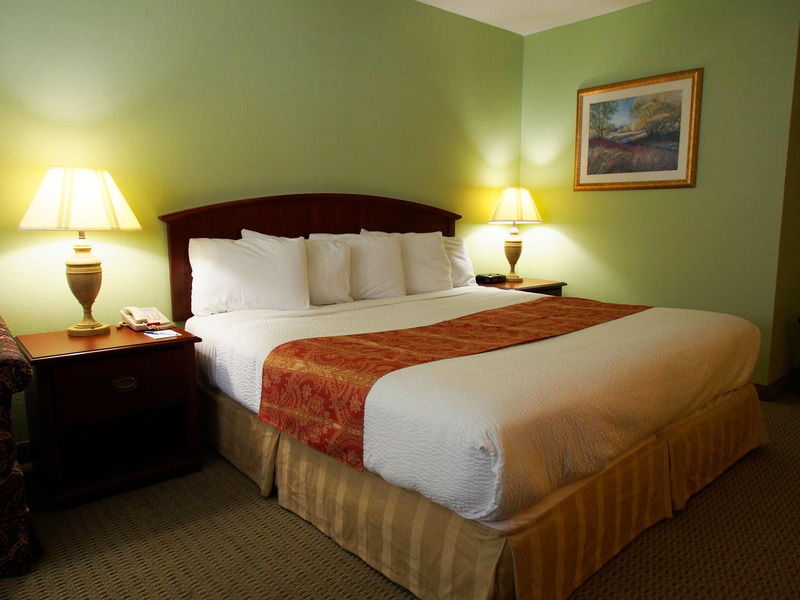 The One King guest room is spacious, non-smoking and handicap accessible. This room comes standard with refrigerator, sleeper sofa, coffee maker and microwave, iron and ironing board. It also has an individual climate control and cable television including HBO. Rollaway beds are also available upon request. With a pool and mini golf on site, Inn at the Waterpark is the perfect family-friendly hotel for your next Galveston getaway. From mild to wild, Galveston Island offers unique events and attractions for all ages, most are within walking distance too! Leave the daily hustle and bustle behind and get ready to set your clock on Island Time.